They did “Tiny Dancer” and “Tilted” together at London’s Apple Music Festival. The Apple Music Festival is taking place in London this month with artists including Chance The Rapper, Calvin Harris, and Alicia Keys all headlining shows in the U.K. capital before the end of September. The run of gigs kicked off on Sunday, September 18, with Elton John. 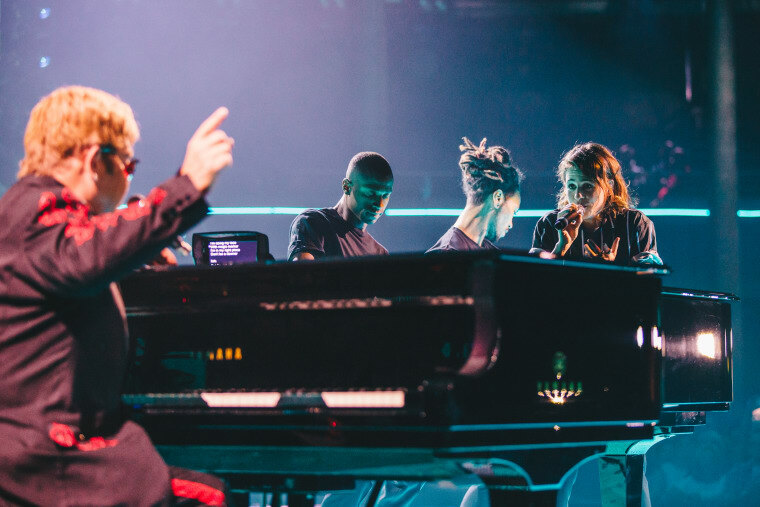 He was joined during his performance by guests he has promoted on his Beats 1 show, Rocket Hour, with Gallant, Rosie Lowe, Parker Millsap, and Christine and The Queens all getting on stage during his set to perform a song of their own plus an Elton John classic. Footage of Christine and The Queens performing her own "Tilted" as well as John's 1971 single "Tiny Dancer" was captured from the live-stream of the show. Check it out below.